It hasn’t been long since blockchain splatted into two and created Bitcoin. But now you’ve got another fork taking place. This time, blockchain developers have reached the decision to introduce and all new cryptocurrency called, ‘Bitcoin Gold’ as a result of this ‘Hard Fork’. Though there are a lot of rumors as its new, still almost twenty exchanges have showed their interests in supporting Bitcoin Gold. Before digging in, let’s know more about the new cryptocurrency. Bitcoin Gold is another cryptocurrency that is a fork of Bitcoin blockchain. The fork is supposed to take place on October 25th, 2017 at a predetermined height of the block. As the block reaches at 491407, the Bitcoin Gold miners will start creating blocks with a new proof-of-work algorithm. This new change will cause a bifurcation of the Bitcoin blockchain. Despite this split, the existing Bitcoin blockchain continue to work as smoothly as it always has. It is just a new branch will split off from the original blockchain. Though there’s not a major difference as this new branch is also backed by a well-defined blockchain with the same transaction history as Bitcoin. How will Bitcoin Gold make a difference? Bitcoin Gold is developed to make Bitcoin mining decentralized again. When Bitcoin was first discovered, Satoshi Nakamoto had an idealistic vision of “one CPU one vote”. Unfortunately, this theorem was exploited by a small group of manufactures and distributors of minors, who took control of the whole mining. Moreover, a lot of these have engaged in malpractices against individual and small-scale miners as well as the complete Bitcoin network. Bitcoin Gold is a ray of hope for a lot of people. 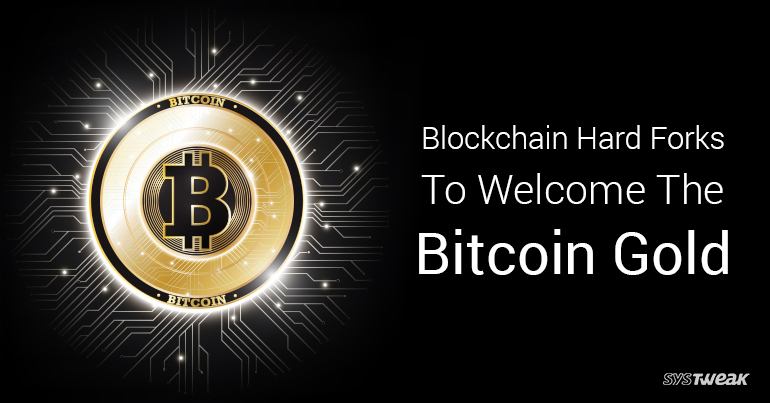 With the change of Bitcoin’s proof-of-work algorithm from SHA256 to Equihash, the SHA256 enabled mining tools will not be of any use for mining the Bitcoin Gold blockchain. This will give countless opportunities to new people who want to try their luck in cryptocurrency mining. The equipment’s required for mining will be manufactured and distributed only by reputed corporations to guarantee transparency and equality. This hard fork for Bitcoin Gold certainly has parallels with a democratic revolution wherein everyone gets the same opportunity to step-ahead and jump on the political bandwagon. Who’s the mastermind behind Bitcoin Gold? The idea of Bitcoin Gold was first broached by LightningAsic CEO Jack Liao back in July. However, the group behind the idea appears to be relatively a small group of people. The company sells the mining equipment and GPUs, the type of computing hardware on which the Bitcoin Gold is supposed to rely. Moreover, approximately one percent of the total cryptocurrency tokens mined prior to the blockchain going public, will be used to pay Bitcoin Gold development team. How to get Bitcoin Gold? The distribution method of Bitcoin Gold is going to be as same as it was used for Bitcoin Cash (BCH). All Bitcoin holders who possess private keys on October 25th, 2017 are going to get Bitcoin Gold on the rate of 1 BTC = 1 BTG. It means, if you have one Bitcoin, you’ll get one Bitcoin Gold. You just need a safe Bitcoin wallet that gives you exclusive control of the cryptographic private keys to let you store your Bitcoins prior to the fork day. Some wallets may allow you the direct access to your Bitcoin Gold, where some may require you to perform additional steps. It is important to select a wallet carefully as the majority of exchanges haven’t opened their gates to welcome this hard fork yet. Next Read: Is This The Beginning Of End For BitCoin? Overall, Bitcoin Gold is currently a sort gamble for miners. Therefore, it’s advised to keep your Bitcoins in a wallet you hold a private key for. If you want to get Bitcoin Gold, make sure to use an exchange that supports both the currencies or plan to do so. In short, the clear picture is yet to be drawn and it’s better to be on your toes to avoid financial mishaps.